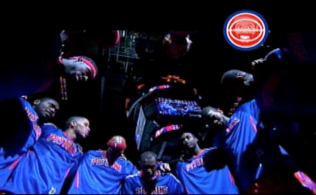 The Pistons snapped their four game losing streak with a 103-87 win over the Orlando Magic at The Palace of Auburn Hills. Detroit held the Magic to less than 100 points, something they haven’t been able to do in quite some time. Detroit has given up over 100 points in 19 of their last 25 games. Despite not hitting his first few shots, Brandon Jennings led the Pistons with 20 points on 7-of-19 shooting with eight assists and three steals. Jennings is scoring the bulk of Detroit’s points on many nights so it’s nice to see his turn over ratio go down since he’s handling the ball for most of the time he’s out there. Detroit was in the driver’s seat most of the night, but it was a 9-0 run in the third quarter to make it 70-55 that took all the life out of Orlando. Andre Drummond with his 33rd double-double of the season. Dre scored 13 with 17 boards and two blocked shots in 32 minutes on the floor. Andre made up for his sub-par game against the Mavericks by playing like a beast from the tip-off. He just about had his double-double before the half. Great Stat – Drummond’s 12.7 rebounding average is No. 1 in NBA history for a player 20 years old or younger. Caldwell-Pope didn’t do much offensively, but he sure did a nice job on the defensive end against former Piston Arron Afflalo who put up 14 for Orlando. It was nice to see Josh Harrellson get some time early. He made the most of it knocking down a three and grabbing eight boards in 18 minutes. Gigi had some garbage minutes scoring two points on two shots. Was I the only one that had high hopes for him? Maybe Josh Smith is reading his shot selection stat and the fact that he’s one of the worst shooters in the league. Smith scored 16 on 8-of-12 shooting, with much better shot selection. I got a change to use the Pistons app on my phone to upgrade my seats yesterday. And sure enough scored some prime court-side. Thanks @ThePalace ! Props to Rodney Stuckey who put up 13 while surpassing the 6000 career point mark. Singler with 12 points on 4-of-7 shooting with four boards and a blocked shot. It’s been quite some time since I’ve seen this team with the fire they showed from start to finish. Think Cheeks knows he’s on the hot seat? A quick turnaround with a game Wednesday night in Atlanta. 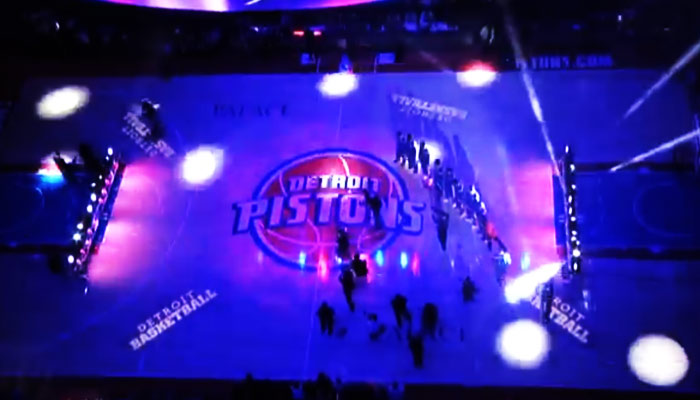 6 Responses to "Pistons End Skid With A Win Against The Magic"
Good win… This teams success depends on Cheeks and the coaching staff. I bet you Larry Brown could take the same roster and get a 45 win season. 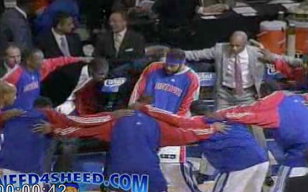 As much as Josh Smith gets criticized, he does have some strengths, just need a coach to ensure he sticks to them. Pull him out of the game if he doesn’t stick to the game plan… Anyways, hoping for a trade before the deadline..
Not really a great shot selection from Josh. He was just hitting some jumpers. Also, game may be postponed tonight. three inches you say? well they don’t handle cold good. Not much to say about a convincing win against the second worst team in the league missing their startin center who beat us convincingly when they were at full strength. I think this team needs to rack up ugly losses if anything is going to change around here, but I’m not going to get too down about counterproductive wins when they’re this giftwrapped. In other news: Natalie, did you get my email?